Do you want a more exciting Fantasy Football experience in 2016? Are you getting tired of the run of the mill fantasy football league? Are you tired of dead owners who cost you a playoff spot or division title? Are you over the blind luck that a basic standard structured league provides? Are you as confused as I am as to why defense is so under accounted for in 80% of fantasy football leagues? Are you growing tired of the scammy DFS set ups where one person can enter 500 times in one contest? What is it that you find compelling about fantasy sports? Why continue to play if you can’t enjoy the experience? We are money leagues, but the most important thing is the community, enjoying the camaraderie, and the experience. What we have created at majorleaguefantasysports.com is a fantastic community of Writers, Editors, Coaches, Ex-H.S. players, Ex-College players, Ex-NFL players, TV Producers, Radio Personalities, Industry Personalities, Professors, Teachers, Attorneys, CPAs, and CFPs that all share one passion: Fantasy Sports! Parity, a level playing field, and competitive results is what we pride ourselves in. 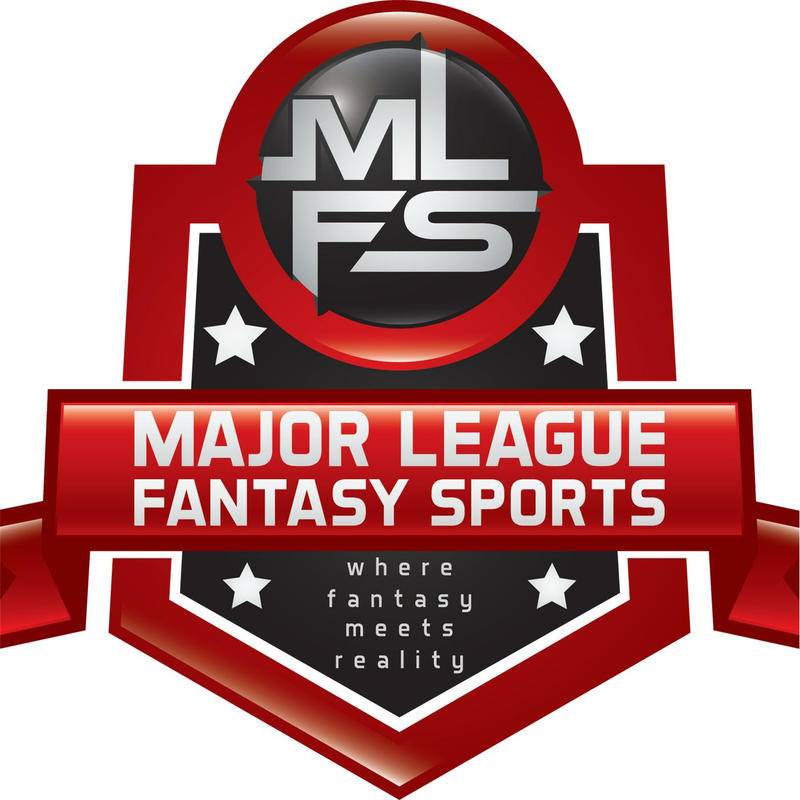 Our mission statement reads as such: Our mission at Major League Fantasy Sports is to construct and operate the most realistic renditions of fantasy baseball, fantasy football, & fantasy basketball money leagues that bear out decision-based results which includes the three key aspects to fantasy success: Fundamentals, analytics, and gut instincts. We will be doing 2 live Fantasy Football radio shows per week during the regular season on Sunday mornings and Tuesday nights. Corey D Roberts, Lou Landers, Zak Sauer, Bill Latin of DFW, and our good buddy, 2-time Pro-Bowl guard Davin Joseph, will be back on the shows. We will start our pre-season football show on Saturday, June 4th, which will run live from 1-3pm EST. This will run every Saturday until we get to the first week of the NFL regular season. All shows are call-in welcome at (323) 870-4395. You can also listen to the podcast if you can’t make the live airing. picks, players, or players for draft picks. You can keep up to 5 players, of which 3 can be offensive and 2 can be defensive. The roster size is 29, 12 teams, 9 offense, 11 defense, and 1 kicker. We have 5 open teams in our leagues for the 2016 season. Leagues with openings: MLFF2, MLFF3, MLFF4. Look for the teams marked “no owner.” If you are interested in learning more, then please fill out the form below. If a working phone number is not provided, your application will be ignored. I always vet each new owner to be sure we are a good fit for them and they are for us. After the vetting process is complete and you are a good fit, the teams will be first come, first serve (that is, the first to pay will get the team they want). You will be able to make a payment at our store. I would like to thank all those in advance for taking time to research us. I will have my personal contact info listed below the contact form. You can also contact me by phone directly if you are so inclined. On a side note, I am also looking for one football writer for the 2016 football season that can focus on IDP. Feel free to drop me a resume at my email address listed at the bottom of the page under the contact form. Check out the YouTube video below, where I will be sharing my screen, so I can give you more of an in-depth view of the organization and the leagues. Major League Fantasy Baseball Radio Show: Join Corey D Roberts live on Sunday February 14th from 7-9pm EST for the 2016 debut of Major League Fantasy Baseball Radio. We will air live every Sunday throughout the season from 7-9pm EST. We take live callers at 323-870-4395. Feel free to join the discussion. Our first show of the year will be all about the hot stove. Any trades or free agent signings of significance will be discussed from an MLB and fantasy perspective. Our guests this week are Joe Iannone and Kyle Amore. Joe has been a writer with majorleaguefantasysports.com for 3 years, and is a tenured fantasy baseball owner. Kyle is a former college ball player, played in Italy, and is the co-host of Thursday night show with Lou Landers. Major League Fantasy Baseball Weekly Radio Show: Join Lou Landers and Kyle Amore live on Thursday February 18th from 8-10pm EST for the 2016 debut of our Thursday night shows. This show airs live every Thursday night throughout the season from 8-10pm EST. We will take live callers at 323-870-4395. Our first show of the year will be breaking down starting pitchers from an MLB and fantasy perspective. Our guests this week are Hernan Batista and Joe Ciccone. Joe is a writer with MLFS as well as our Chief Editor. His articles release every Wednesday morning. Hernan is a fantasy baseball owner in MLFB1, and MLFB2. Come join a lively discussion!